We wait and wait for them, we look to Captain Ray Stachelek to predict their arrival date, which he does with miraculous accuracy, we watch videos of Captain Rene Letourneau catching them on the fly and we stock up on supplies. We wonder if white Albie Snax will be the ones this year, if epoxy jigs will bring them to the gunwales or if the new guys on the block, Al’s Goldfish Saltwater Series, will out-catch them all? For some, fishing for false albacore signals the real fall run, when bass are in heavy, bluefish are loading up before turning tail for points south and weather makes everything unpredictable, challenging and down right fun. Should we be depressed because summer is over? The albie bite started as a nibble then dribbled off but after Florence flossed us with some drenching rains, they resurfaced in force. 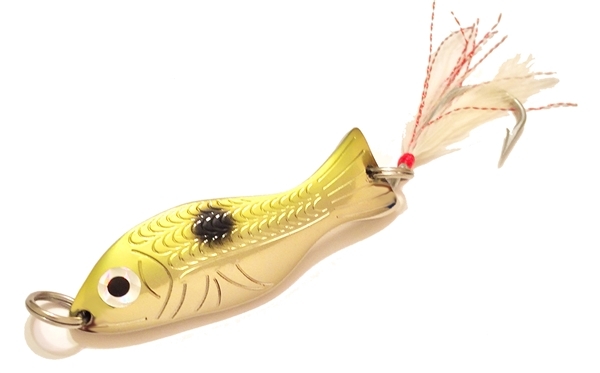 As you’re casting, thinking about stripers, those distant splashes look a lot like bluefish driving bait skyward but then you realize they’re dark dynamo footballs flying out of everywhere and that’s why they’re not hitting your top water bluefish plugs. You need a head on a swivel to follow them and rod with three lines to cast in three directions. That may be a bit of an exaggeration but you get the idea. We sweat through March waiting for trout season but man, nothing beats the fall run. The Rhode Island Kayak Bassin’ group has one remaining tourney date on their seasons-long freshwater fishing competition. On October 13, Trail Number Seven will be at Indian Lake in South Kingstown. RIDEM has just completed a total boat ramp revamp so there’s ample parking and room for trailers to dunk boats on new twelve-foot wide concrete ramps and six foot by twenty-foot floating wooden docks. The pond is pretty special and because of its fairly remote access, plenty pass it by. To be sure, the ramp and the access are public, managed and maintained with public dollars. It’s a great little shady spot to appreciate how magical Rhode Island can be when there’s great fishing in a tucked away pond. Just to the west is the Peace Dale Shooting Preserve so chances are good you’ll hear other sportsmen and women enjoying the sport they love. There’s a decent population of panfish and largemouth bass and a big charge of small mouth bass. Having smallies in the pond mixes up the game plan for some anglers more accustomed to just hunting for leader board bucket mouths. Smallies have different appetites and feeding patterns and will give a totally different fight when hooked. Small mouth bass are known to attack something innocuous like a pumpkin colored salted Senko then after being hooked, landed and released, go back and attack the same worm with a vengeance. Fishermen and women can check in starting at 5:30, fishing starts at 6:00 a.m. and closes at 2:00 p.m. There’s an entry fee of $50 with an optional $10 smallmouth lunker fee. RIKB follows some pretty strict rules and for good reason; one of them is not allowing any fishing in the pond for two days prior to this event. That’s a really strong message to go check out Indian Lake now. Don’t let all those houses on her banks fool you; it’s a public waterbody and it’s a sweet place to paddle a kayak. Click here for a list of other public boat launches in Rhode Island. Kevin Amaral Jr. is atop the leaderboard with just this one event left. He’s earned 318.75 points with Tom Delgrosso close on his tail with 296 and Chris Catucci in third with 294 points. This has been an exciting year for RIKB and it’s fantastic to see so many people getting on the water to not just earn points and prizes but to share a few hours with good friends. Finally, this week, big cheers and a tip of the camo hat to all the fishermen and women who made their voices heard and to the RI Saltwater Anglers Association for their tireless work to protect forage fishes, like herring. Although some will say it was a small step, the New England Fisheries Management Council gave a subtle nod to ecosystem fisheries management and instituted a 12 mile buffer zone for mid-water trawlers. We’ll explore this more another week but to RISAA, Rich Hittinger and our RI delegates who voted to support protecting herring, I say thank you. To the Ocean State corporations who valued balance sheets more than a primal, essential element of the marine food web, I can only hope that in a few years you will support Nature and all those animals who rely on herring more than the cat food and lipstick companies who haven’t evolved past wasteful use of such a fantastic fish. Bait certainly is important to other fisheries but at the expense of so many other marine animals? I think not.